Study shows real Puerto Rican death toll from Hurricane Maria at least 4645 | Fight Back! The impossibly low official death count of just 64 people killed from Hurricane Maria’s devastation of Puerto Rico last September has now been shown to be a politically manipulated fabrication. Fight Back! challenged this official count in an article last October, a month after the hurricane, as did many other media at the time. But in the absence of a thorough and scientifically-sound review of post-hurricane deaths in Puerto Rico there was no other count to rival the government’s lowball number. But now a new study published in the prestigious New England Journal of Medicine has changed that. 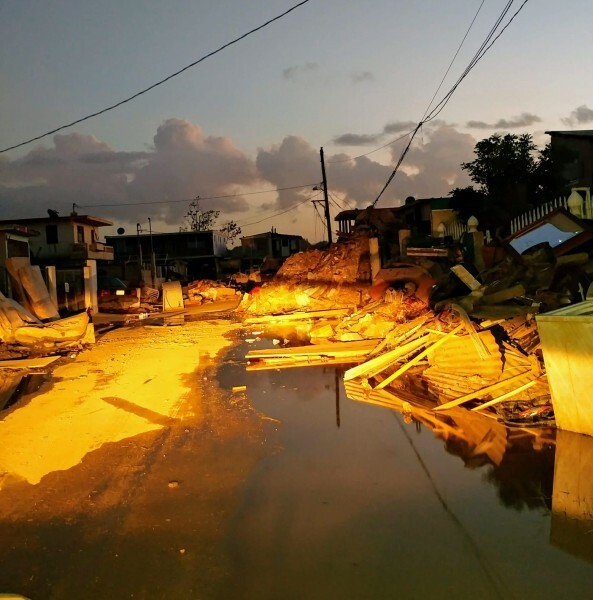 The study takes a scientific approach to reviewing post-hurricane deaths in Puerto Rico, and also compares the death rates to prior years, rather than just taking the government’s own count of hurricane-related deaths at face value. It’s important that they didn’t take the government’s numbers at face value because the government acknowledged that they didn’t have a consistent, nationwide standard to determine what deaths to count as hurricane-related, so their numbers have no consistency. Something counted as a hurricane-related death in one part of Puerto Rico could be counted as not hurricane-related in another part of the country. Also, the U.S. federal government under President Trump had a self-interest in keeping official death counts low to make it look like they handled the disaster in a way that somehow prevented massive loss of life. 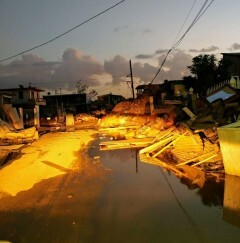 Trump’s narcissism and thin-skinned response to any criticism also meant that Puerto Rico’s Governor Rosselló had a self-interest in providing the low numbers Trump wanted to hear in order to not anger Trump and cause him to skimp on federal aid in retribution, as he threatened to do when San Juan’s mayor Carmen Yulín Cruz Soto criticized the federal government’s efforts in the aftermath of the hurricane. The researchers who wrote the New England Journal of Medicine study conclude that, contrary to the government tally of just 64 hurricane-related deaths, at least 4645 deaths can be directly linked to the hurricane, making the storm exponentially deadlier than previously reported. The official death count matters. Not just because every Puerto Rican life lost during this catastrophe matters. And not just because Puerto Rico’s status as a U.S. colony means that post-hurricane deaths are squarely the responsibility of the U.S. government. But also because these low numbers have been used politically by the Trump administration to put forward a fairy tale about a great recovery in Puerto Rico that erases the dire reality that continues on the ground nearly a year later and allows a massive injustice to continue without the outcry there would be if the true scale of devastation were more widely understood. Flouting the grim reality on the ground in Puerto Rico, President Trump used the low official death count to laud himself and his administration’s post-hurricane relief efforts as somehow being great. On Oct. 3, 2017 he said, “If you look at a real catastrophe like [Hurricane] Katrina and you look at the tremendous - hundreds and hundreds of people that died - and you look at what happened here with, really, a storm that was just totally overpowering ... no one has ever seen anything like this." On Oct. 19 he also bizarrely said, “I would give myself a ten” out of ten for his administration’s relief efforts in Puerto Rico. But now the fiction that President Trump spun about his administration’s post-hurricane relief effort in Puerto Rico is unraveling. Not only is the real death count from Hurricane Maria not lower than that of Hurricane Katrina like Trump claimed last October, it is almost three times higher. Recall that the Bush administration’s criminal mishandling of the aftermath of Hurricane Katrina in Louisiana and Mississippi is universally considered to have been a massive disaster that compounded the natural disaster with deadly consequences. What conclusion can be drawn about the Trump administration’s actions in Puerto Rico other than that it is an even worse disaster than Bush’s handling of Katrina with even more mortal consequences?